Pad Thai, Drunken Noodles, Crispy Rolls, Tom Yum Soup… Just the thought of these flavorful dishes makes my stomach rumble. 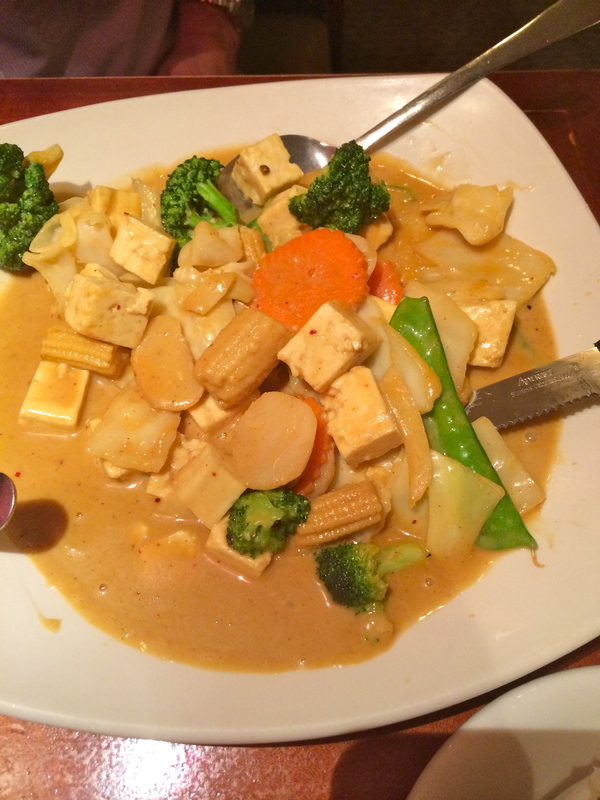 Over the years, Thai cuisine has become one of my favorites. I love that the dishes are spicy, tangy, and loaded with savory sauces, vegetables, and juicy pieces of meat, seafood, and tofu. While there are a number of great Thai places in Detroit and its suburbs, Sy Thai is reasonably priced (especially for B-ham), and the service is always top-notch. I enjoy dining in, where I often sit in one of the cozy booths along the wall. This is a perfect place to go after a long day of work, or simply if you’re trying to avoid weekend restaurant chaos (I’ve never had to wait for more than 10 minutes). When I head to Sy Thai, I like to start with some Tom Yum soup. It’s broth-based, with veggies and your choice of tofu or shrimp. The Tom Yum gets its flavor from lime, cilantro, lemongrass, and green onions. It’s like chicken soup, but better! 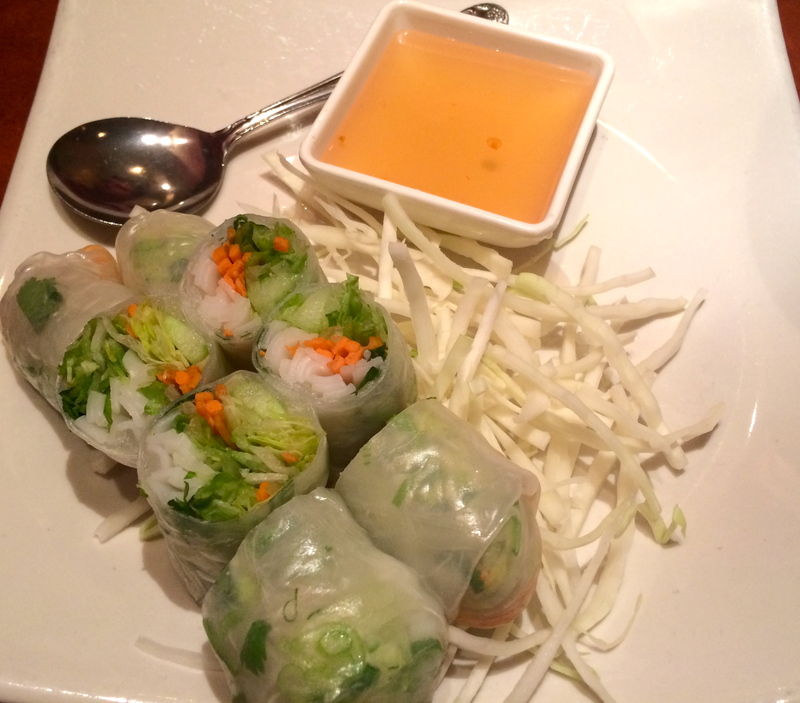 Since it’s finally warming up outside, I felt like starting with the “Fresh Roll” on my most recent visit to Sy Thai. This roll is sliced into bite-sized pieces and is filled with cool, crisp veggies wrapped in rice paper, with a sweet chili sauce on the side for dipping. They are, as their name implies, fresh and light. This is a nice appetizer fit for one or two people. For my main course, I like to share two dishes so I can get the best of both worlds: A noodle dish and a stir-fry or curry dish that is served with rice. Pad Thai is always a good choice, with plenty of chopped peanuts, egg, and a wedge of lemon to add some tanginess. 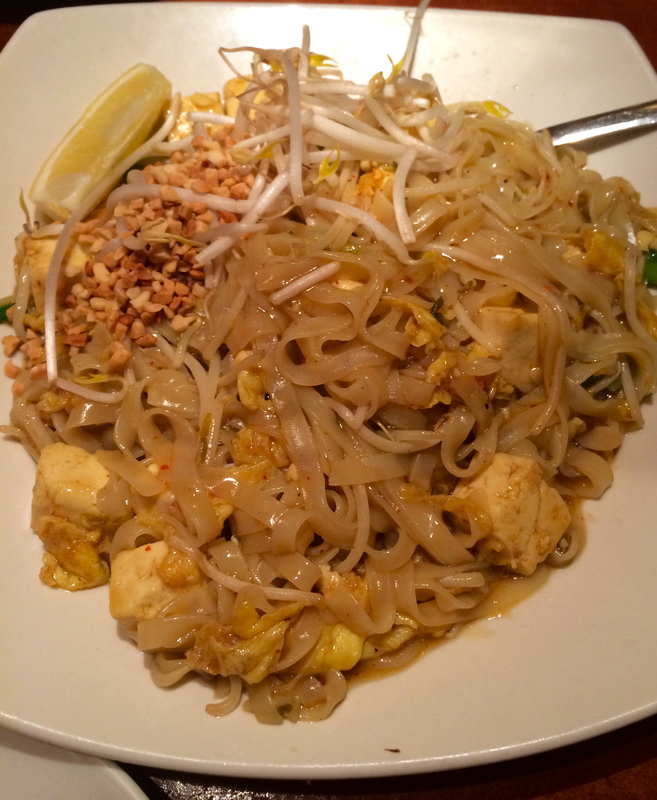 I recently tried the Thai Peanut dish to complement my Pad Thai. The sauce was savory and creamy, but I felt that the dish was lacking in the veggie department. If you’re feeling adventurous, I’d recommend the Mu Sa Mun curry. A friend of mine who studied abroad in Thailand turned me on to this stew of potatoes, vegetables, and curry sauce. It’s flavorful and hearty, and the curry sauce isn’t too overpowering. However, for those of you who like to keep it simple, I’d recommend the Pad Pak or Pad Prik, which are stir-fry dishes with vegetables, a protein of your choice, and “brown sauce.” Trust me – they’re GOOD! Open since 1993, Sy Thai is an established business, and a great choice for Thai food at a reasonable price. Cost: Under $20, especially if you split some dishes! The prices during lunch are even better. Hours: Mon.-Thurs. 11 a.m. – 10 p.m., Fri-Sat. 11 a.m. – 11 p.m., Sun. 4 p.m. – 10 p.m. Phone: (248) 258-9830 Call to place your carry-out order or request a party tray! They don’t take reservations. I like this one, too. Consistent, great flavors, and the service is very solid. As Birmingham restaurants go, this is a keeper. Love your blog, by the way.